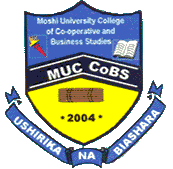 The Moshi Co-operative University (MoCU) has its Mission of being the best provider of quality education, training, research and advisory services to enhance co-operative development. (viii) To perform any other duties that may be assigned by the relevant authority. (v) Perform any other duties that may be assigned by relevant authority. must have scored a B+ in the relevant Subject or its equivalent.  Not above 30 years. (x) Reporting faults on the switchboard for repairs. Form IV/Form VI, Secretarial Stage III plus computer knowledge, word processing and other relevant computer programmes. (xiii) The deadline for application is fourteen (14) days after first appearance of this advertisement.